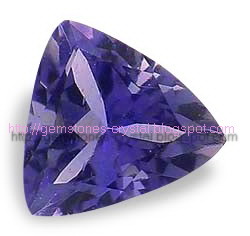 Another useful gem stone is Iolite. Iolite was used by Viking explorers to aid them in navigation when they were far from any guiding coastline. Because of Iolite's pleochroism (it appears a different color depending on the angle of the light), they could look through the mineral to determine the sun's exact position and navigate accurately. What are the other properties of Iolite? Well, it is thought to accept personal responsibility for his/her actions, as well deal with the root causes of addictions and neuroses. It is also thought to be a visionary stone that can bring inspiration and revelation. 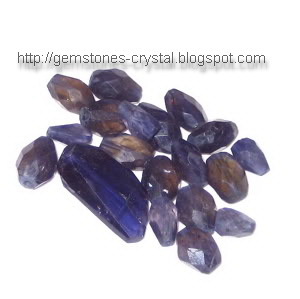 There are also healing benefits of Iolite. It is thought to reduce fatty deposits in the body, which can be useful for those with high cholesterol levels. It has also been known to relieve fevers and provide its holder with physical comfort. Iolite is a beneficial gemstone for both emotional and physical health, and if you happen to be sailing the high seas maybe you'll find it a useful navigation tool!